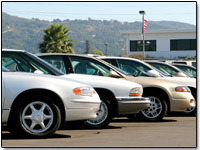 Nestor Sales serves many branches of the automotive marketplace. This includes our primary customer base of mobile tool jobbers, parts stores, fleet maintenance, and industrial manufacturing. Ace Tool Company serves mobile tool jobbers and parts stores while its sister company, AIM supply, provide tools, equipment, and supplies for fleet maintenance and industry. In addition to providing the products we also offer technical advice and assistance with setting up your business and making profit. Contact Nestor Sales to be put in touch with an Ace Tool or AIM representative today!